This third engagement with the “Dreamers Market” has seen a cementing of the relationship between Arjay Creations, Four Red Hens and the market place itself. Each visit to the event sees a growth of public popularity with an increased number of new customers as well as the now familar faces from prior sales. 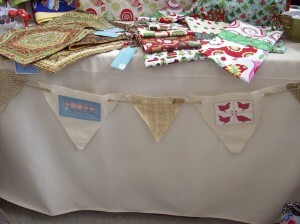 There has also grown from these days a great sense of community spirit amongst the stall holders themselves. With all these features we highly recommend you check out future “Dreamers Markets“. Increasingly popular over the last few years the “pop-up-shop” is finding its way into so many new retail opportunities. 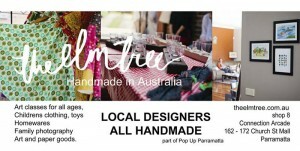 Now “The Elm Tree” has brought this exciting sales arena to the world of handmade goods. Always looking for new outlets Arjay Creations elected to make their first venture into the pop-up world of selling at this event being held in Parramatta during the spring season of 2013. Unlike traditional markets the goods are availabe throughout the week without needing the constant attendance of each individual creator. You can Click Here to read about their retail storefront. 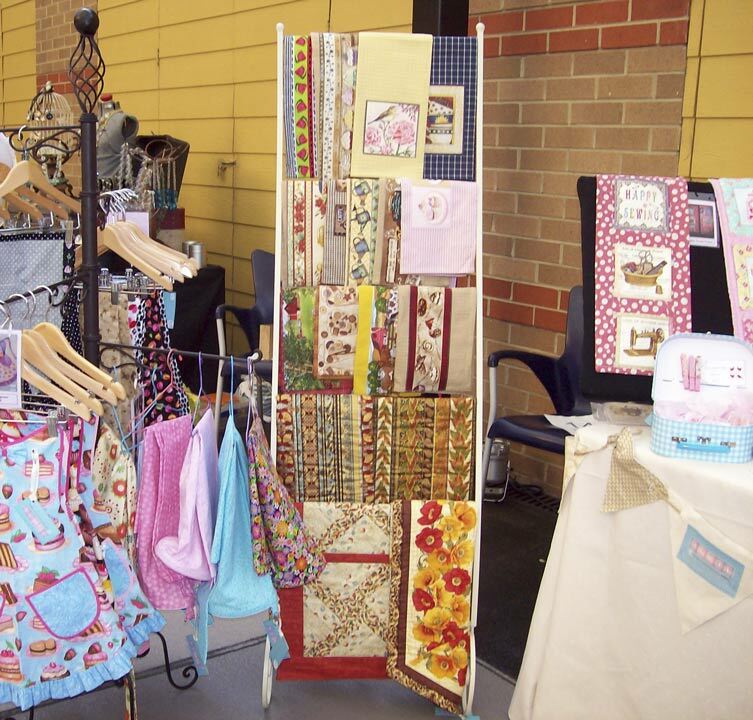 Spurred on by the success of Arjay Creations, Robyn has launched a new line of quality handmade items for babys and mums. Specifically crafted for those who have moved into the exciting realm of motherhood these particluar items help to make feeding, sleep and playtime a breeze for both mum and bub. Over the coming months there will be an increasing focus on this range as it expands from the current offering of adjustable carry slings, privacy nursing aprons, overall bibs, baby quilts and various soft toys. Sam & I enjoyed a fun day of stitching when we went to Urban Stitches at Darling Harbour in Sydney on March 24th. This event is regularly staged in Victoria which is the home state of Rosalie Quinlan , Melanie from Melly & Me and Jodie from Ric-Rac however today was the first time they had moved the event over the border. The outing included fully stocked kits from which to work, delicious food and best of all the generosity of the presenters with their time and their skills. After having so much fun at our first outing to the “Dreamers Market” Sam and I decided to get straight back into the action. With this Autumn market not requiring the previous focus of Christmas stock we were able to bring on board a much wider variety of our newly expanded range. Another great day was had by all! We were so thrilled to have been assigned a great “entry” position for our stall on our first day out to the fabulous Dreamers Market . 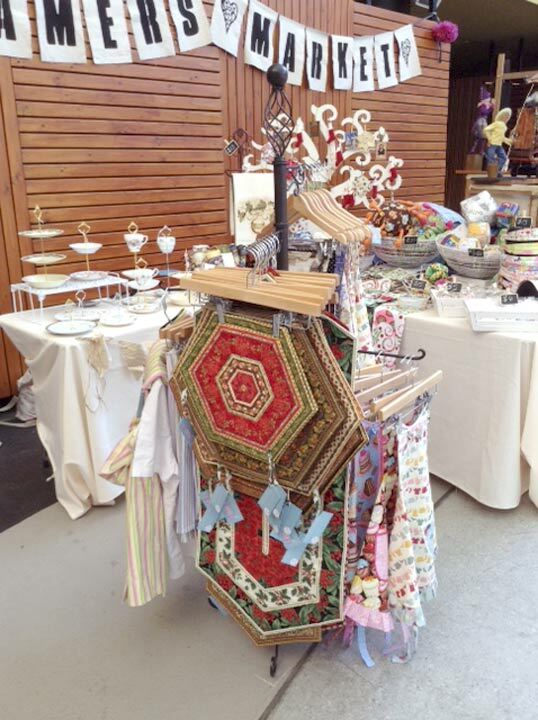 It was wonderful to have our wares noticed as soon as visitors made their way through the entry doors. 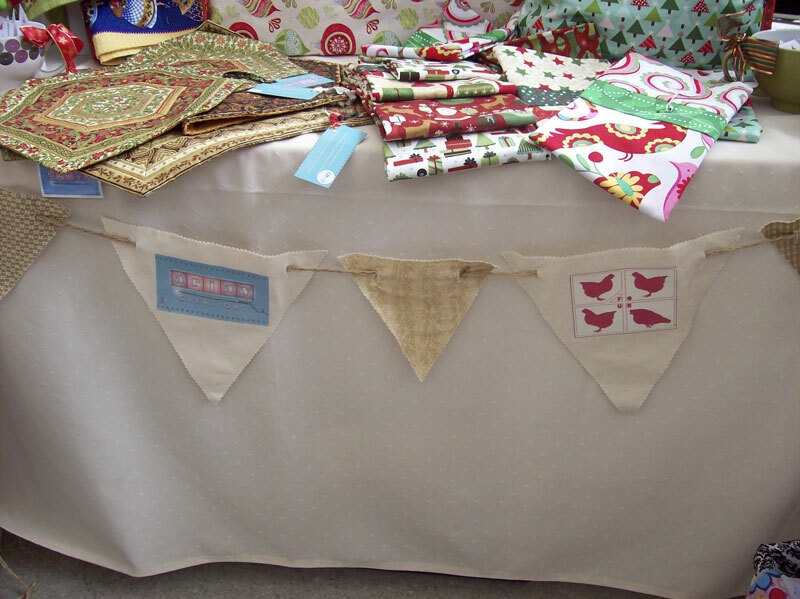 Being fairly new to markets, we were pleased to receive such positive feedback about our product range. These markets are held on a regular basis at the Parramatta Riverside Theatre in Sydney’s central western districts featuring quality hand made crafts from a large array of local aristans. We look forward to participating in future markets held by the Dreamers team. 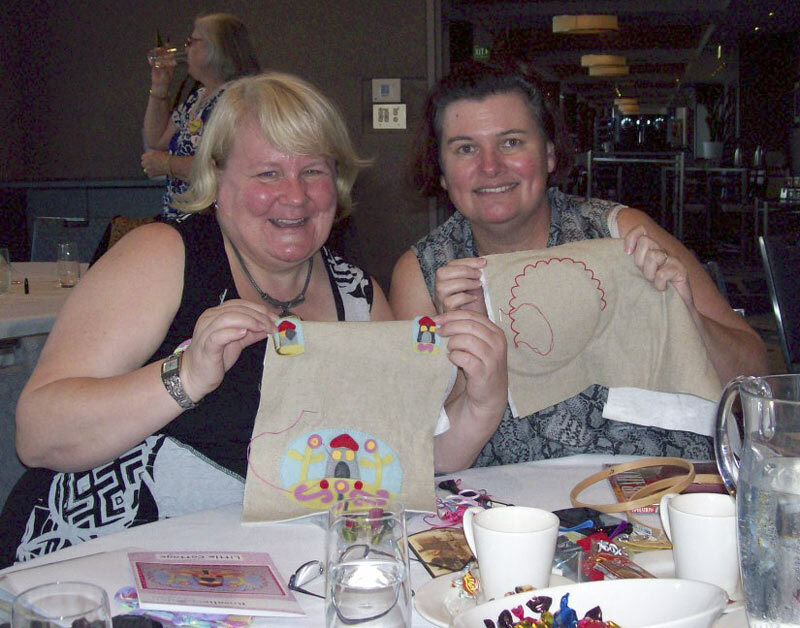 Robyn Waite and Samantha Clarke are the proprietors of two handmade craft goods businesses known as Arjay Creations and Four Red Hens. 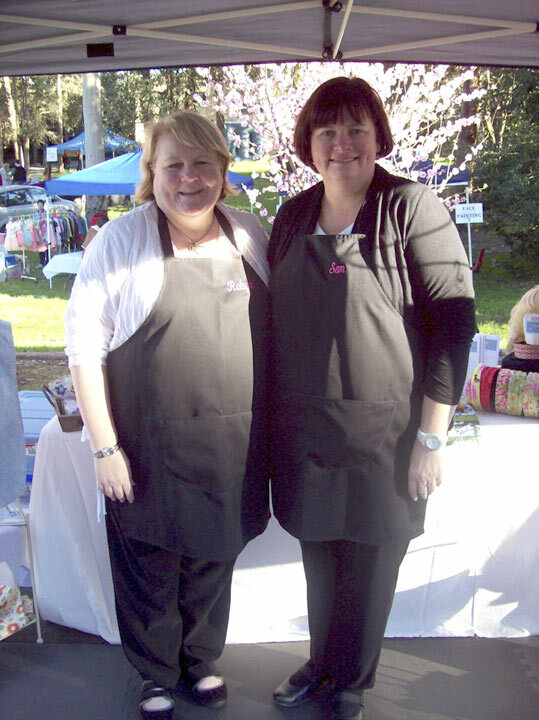 Following an article in a local newspaper advertising the Castle Hill Family Markets the pair decided it was high time to join forces for their debut sales experience. 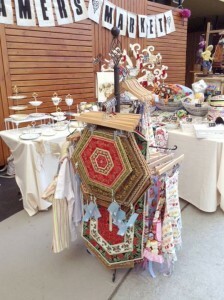 The warm and sunny winter’s day turned out to be the ideal occasion on which to set up and display their wide range of goods for sale to the public.